With Facebook preaching transparency for all, Google, on the other hand, seems to be drawing a line in the sand, taking up the calls for privacy. The company’s new “Me on the Web” feature, available on Google Dashboard, allows users to monitor their web presence and weed out any undesirable personal nuggets that have made it onto the web. Users can now set up e-mail alerts whenever any stipulated bit of information is posted online, whether it’s your name, e-mail, physical address, or anything attached to your name. 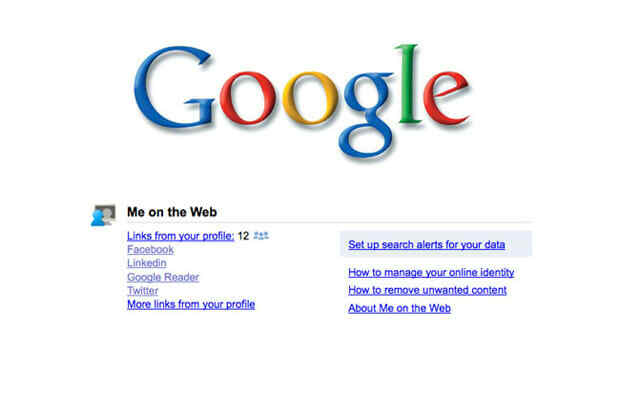 Google also recommends that users set up a Google Profile via PicasaWeb—basically their answer to Facebook that will probably never hit critical mass. And once that’s done, Google also provides detailed FAQs as to how to scrub unwanted search results and web pages mentioning personal information—a possible response to the increasing pro-privacy chatter.